Thank you so much for Reserving A Holiday Ham from Simply Fresh market! To show our appreciation we’d like to offer you 5% off any selections you make from our Easter Catering Menu! When you call to place an order for catering simply tell our Clerk that you reserved a Ham with us and they will apply 5% off your catering order. 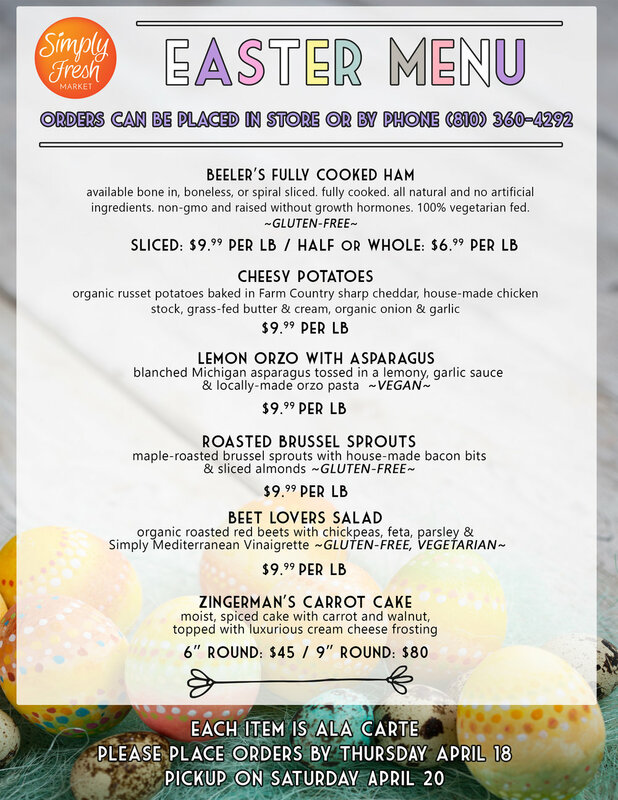 *All items are Ala Carte, please place orders by Thursday April 18th. Pickup is available on following Saturday April 20th.